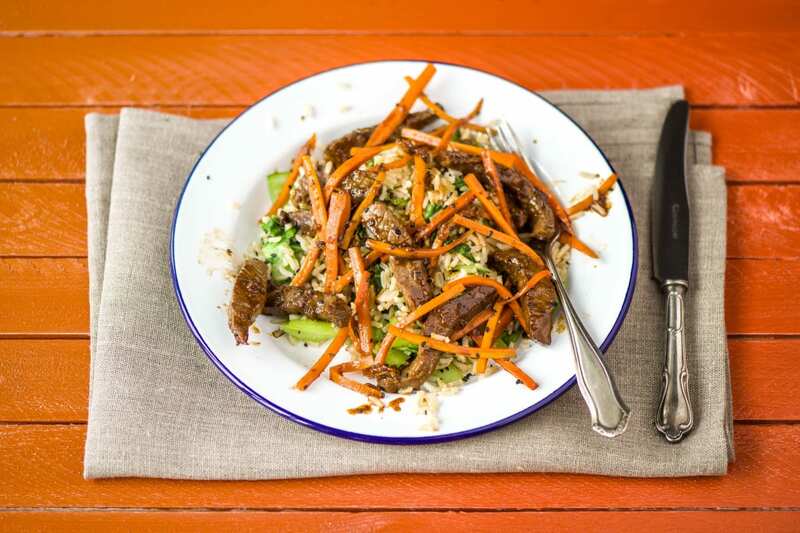 A stir fry is the perfect, speedy, simple weeknight dinner to whip up after a long day. This one is jam-packed with vegetables that will nourish and satisfy. Top your plate off with a sprinkling of black sesame seeds and prepare your taste buds for a wild ride to a land of wonder and delight! To prepare the ingredients, slice the bok choy and spring onions. Peel and crush the garlic, and peel and grate the ginger. Peel the carrot and cut into matchsticks. Slice the lime into wedges. Place the brown rice into a sieve and rinse it with cold tap water until the water runs clear. Place rice and water in a medium pot and bring to the boil over a high heat. Cover with a lid and reduce the heat to medium. Simmer, covered, for 25-30 minutes or until the rice is soft and the water has absorbed. Add the bok choy in the last 2 minutes. Remove the lid and stir through the green parts of the spring onions. Meanwhile, in a medium bowl combine the garlic, ginger, salt-reduced soy sauce, honey and the white parts of the spring onion. 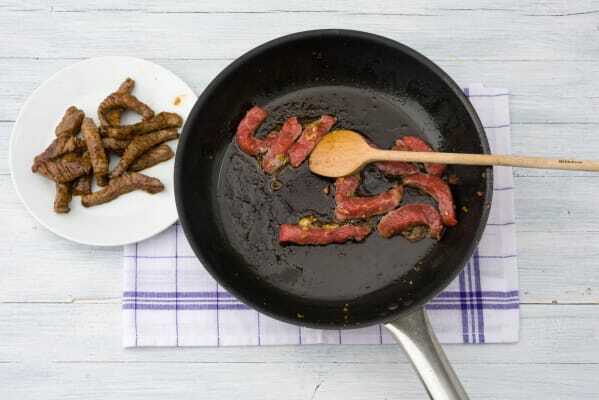 Add the beef strips and toss to coat well in the marinade. 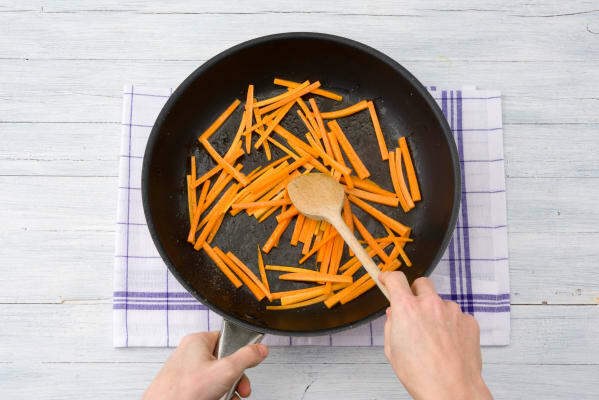 Heat a dash of vegetable oil in a large wok over a medium high heat. Add the carrot and cook, stirring, for 1-2 minutes until just tender but still a little crisp. Remove. 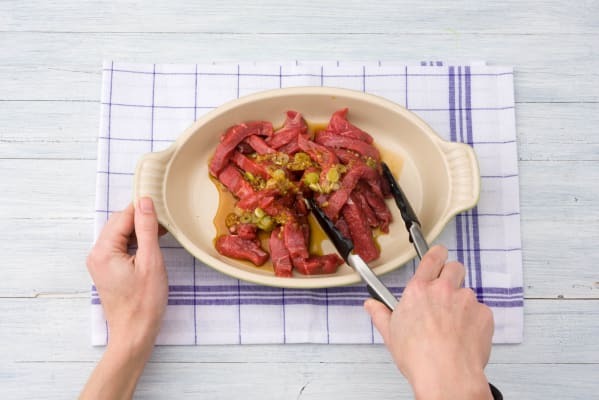 Add the beef in two batches allowing any excess marinade to drip back into the bowl. Cook the beef for 1-2 minutes or until browned and then remove from the wok. Add any excess marinade to the wok and cook until thickened slightly. 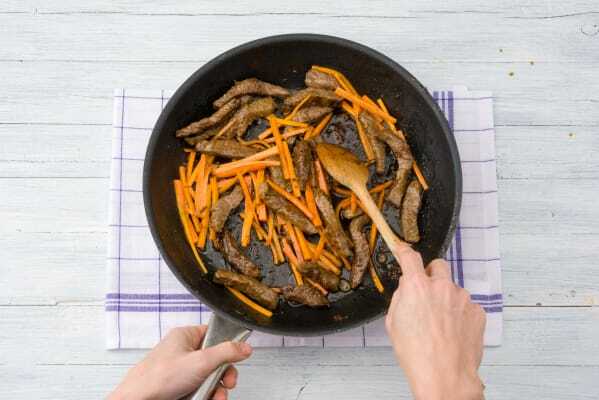 Return all of the beef and the carrot and toss to coat well. To serve, divide the bok choy rice between bowls. Top with the teriyaki beef and deliciously sticky teriyaki sauce. Garnish with the black sesame seeds.